Maruti Suzuki India Limited has recently launched a Maruti SX4 sequel model in India which comes with the new K-series engine and automatic transmission system. On the other hand, the largest carmaker is, now, preparing for all other models their money. SX4 has displaced the segment leader Honda city from its number one position temporarily in June 2007. However, same situation had not been there since then. The car buyers are happy, because the automatic transmission sequel model of Maruti SX4 has begged better sales in the market with an affordable price. Even both models feature the new VVT engine which has come up to compete fiercely in their segment. The SX4 still comes with 4-speed gearbox. Yet, the Honda's is better to this one, because the Honda's comes in aerodynamic design and 5-speed gearbox. The new Maruti SX4 performs much better as a out side road. It's 16"wheels do much better against the 15" wheels of Honda city. Against the competitor of Maruti cars "we have known to be low maintenance and with the new lower price tag which is nearly 2 lakh. 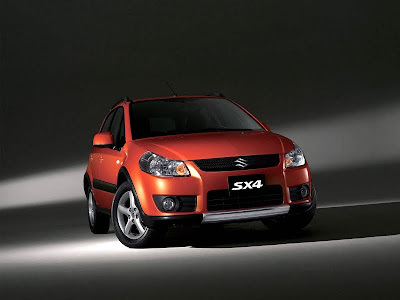 The Maruti SX4 car surely gets advantage in a affordable price market to the competitor's. other side the Volkswagen Auto will launch a new Volkswagen Beetle on 4th December, 2009 in India. Maruti Suzuki India(MSI)is planning to introduce a new Van reserve to Maruti Versa(MUV) within this fiscal, Maruti Versa production has been stopped. Maruti Suzuki India Managing Executive Officer(Engineering),I. V. Roa told,however, we didn't any announcement of price, which will launch soon new vehicle in India, reporters take this report from the sidelines of the fourth Environmentally Friendly vehicle conference here. MSI is also planning to produce one million vehicle by the end of this financial year. Hopefully, we will have manage one million units in production apply with our full capacity before the end of fiscal, he said. Maruti Suzuki company is working to add-on all its models for Bharat-Stage-IV compliant as required under the government norms. we have not completed BS-IV compliance norms so that, We are working for all our models towards that direction. Rao said, Company is also working for demo cars on hybrid and electric, but Rao said it's no plans for a having reached full development vehicles launch with choice of fuel technologies. On the other hand, Volkswagen Beetle and Mitsubishi Lancer Evolution X also ready to launch soon in India. One of the largest auto manufacture company, Maruti Suzuki, is planning to roll out a new Hybrid Maruti Swift soon in India, after the Honda Civic and Toyota Prius even to be launched in the hybrid segment. This Hybrid model was displayed in the Tokyo Auto Show, 2009. The New Hybrid car will have electric motor coupled of petrol engine which acts as a generator, it will give enough output to change the battery in low speed journey of 20km. The new hybrid model battery will be made of Lithium iron. The battery can also be charged by connecting a standard household socket. 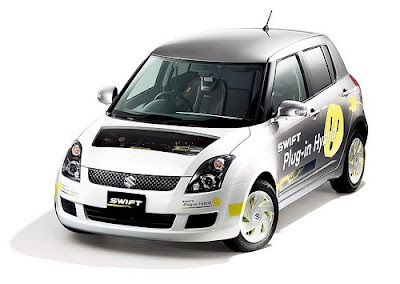 No official announcement about new Maruti Swift Hybrid model in India by the company. On the other hand, Volkswagen Auto is going to launch a new Volkswagen Polo, Volkswagen Beetle soon in India. 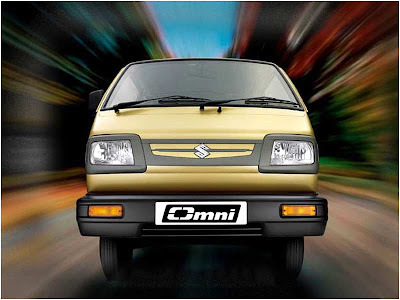 Maruti Omni is sought after due to its smart, sporty, stylish and comfortability. Maruti Omni's sliding doors are giving a new concept to the body graphics of the car. The sub concept minivan was easy targeted to Urban roads in India. The largest manufacture of cars in India, Maruti Suzuki, has got a lot of achievement after the launch of Maruti Omni. Since 1984, it launched second in the line of vehicles by Maruti Suzuki in the country. Maruti Omni was rolled out in the five seater vehicle segment with 796cc engine, but the next eight seater vehicle was introduced much later. Countries like Japan caught basic design of Maruti Omni. Japanese commercial van is based on Maruti Omni, with some modifications. It was converted into a passenger vehicle. As underpowered vehicle weights quite heavy. The Maruti Omni established itself in the market for brilliant performance and affordable price. It's the largest selling vehicle in India and it safety feature also one of the reasons for popularity, it's overall safe and secure car in India. The safety features are the side impact laminated glass windsgield, thermoplastic bumpers, seat belts, and booster assisted disc brakes etc. It has other features like small space parking, keen turning ability and narrow lane driving. It is heavier than the car and shape is not aerodynamic. This car makes a little unstable especially during very high winds, the vehicle becomes shaky and unstable. one of the minor problem that the quality of ride in the car due leaf spring lineage is very poor. The maneuverability of the cars is quite high, even higher than the Maruti. The space factor is the another key for it's popularity, comparability to other small cars in higher price range. Overall Omni is the favourite among car lovers. Now about comfortness, it has a lot of legroom which helps travelers to sit freely. The sliding door make easy to enter and exit even in crowded places. 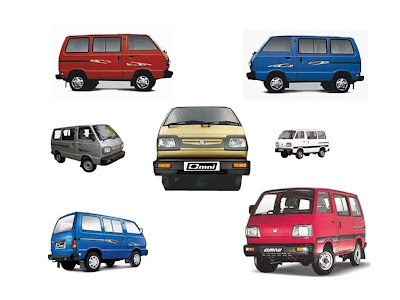 The presently available models of Maruti Omni Cars are as follow, five seater-BSIII , Cargo BS-III, Eight seater-BSIII, Cargo LPG-BSIII and LPG BS III. The Maruti Omni is available in numbers of wonderful colours like wine red, Caribbean, superior white, icy blue and silky silver. The two version's are there like cargo version and family version respectively. The cargo version hasn't back seats. it's suited for both city drive and long tours. it makes dual usage for both cargo vehicle and passenger vehicle. 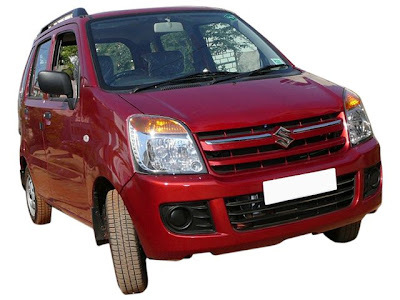 Maruti Suzuki, the largest car maker, will launch best selling its models, Maruti Alto and Maruti Wagon R, with new generation small cars K-series engine. It will be prepared by the April 2010. The Company will withdraw the F-series engines in both small cars and convert them in it's K-series engine. That is Bharat Stage IV complaint. Maruti Suzuki spokesperson said that K-series engine will be mounted to more models. He did not mentioned any clarification and time line for the exchange of engine. In the domestic market, Maruti Alto crossed one-million mark in November last year, while Maruti Wagon R also saw great respond in compact car sales. The company said that newly launched models of the company are already having the new engine such as Maruti Ritz, Maruti A-Star, and Maruti Zen Estilo. And it have lesser emission. Maruti Suzuki India Limited is preparing itself for the change scheduled stricter with 11 cities move to Bharat Stage IV emission norms from the current BS III in India by April next year. The company has already upgraded mid-sized sedan Maruti SX4 with new engine and it will be shortly rolled out in the Indian car Market, while the similar up-gradation for premium compact car Maruti Swift and entry-level sedan Maruti Swift Dzire is on the cards, but Maruti 800 will not be upgraded with the same K-series engine. Maruti Suzuki India Limited has posted 32.45 per cent Jump in sales at 85,415 units in October 2009, as against 64,490 units in the year-ago period. 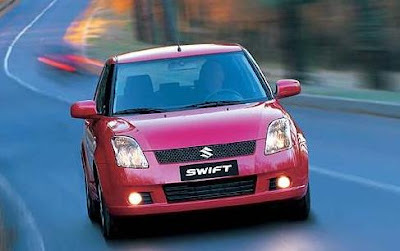 Maruti Suzuki domestic market grew by 21.01 per cent to 71,551 units in the last month from 59,127 units in the year 2008. The company exports increases by over two times to 13,864 units agains with 5,363 units in the last year, it said. The Maruti 800 only car in A1 segment, saw it's sales increasing 5.53 per cent at 3,124 units in the last year, while A2 segment cars like Maruti Ritz, Maruti Wagon R, Maruti Alto, Maruti Swift, Maruti A-Star and Maruti Zen Estilo, saw growth of 18.43 per cent at 51,437 units compared to same period to previous year. On the other hand, largest passenger car maker's in the A3 segment sales grew by 62.68 per cent to 8,804 units compared with 5,412 units in the year-ago month. The rank of Maruti (824) is higher than Honda(791) and Mahindra(757). Maruti ranks highest for Customer Satisfaction with authorized dealer service in india for the 10th consecutive year. In 10th year, Maruti Suzuki overall performance was well and it achieved CSI 824 score as well the service facility and service advisor features.